How many questions can you do? A game to reinforce simple present questions. 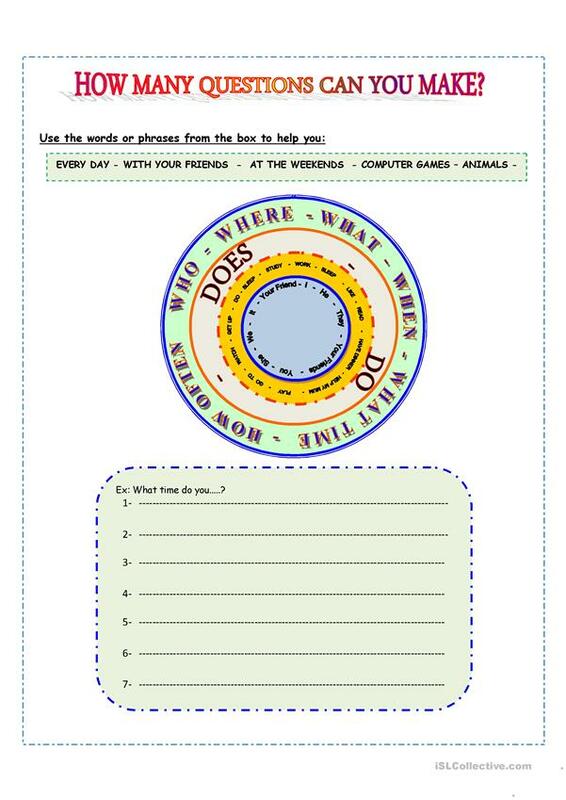 Students have to match the words from the circles to make questions. This downloadable handout is intended for business/professional students, high school students, elementary school students and adults at Elementary (A1), Pre-intermediate (A2) and Intermediate (B1) level.